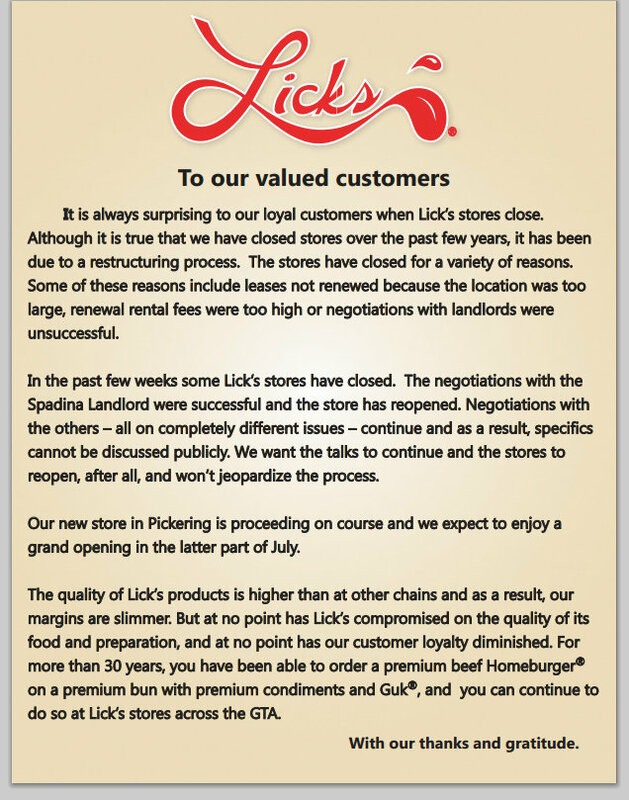 Why is Lick’s Homeburgers & Ice Cream being killed off by its franchisor? What franchisor sends this message to the retail market? Is it in acting in bad faith by destroying all existing Lick’s franchisees’ equity? Who would buy any of these outlets? Lick’s founder denies chain in financial distress, Toronto Sun, June 27, 2013. Troubled burger chain Lick’s has closed seven locations in eight months, Toronto Life, June 29, 2013. Couple baffled over burger franchise lockout, CBC, June 18, 2013 (link to television coverage). The franchise bar, with perfect foreknowledge, will take what is left of their money in what will be (in the end) a hopelessly futile attempt at legal justice in Ontario. Talk to your premier and your small business loan provider not your a franchise lawyer. This entry was posted on Saturday, June 29th, 2013 at 3:17 am and is filed under bad Lease hunting, Bankers, Despair, FranchiseBanker.ca, Greatest lies are told in silence, McLaw: Make-believe fairness, Opportunism, Predatory franchise lending, WikiFranchise.org. You can follow any responses to this entry through the RSS 2.0 feed. You can leave a response, or trackback from your own site. Exaggerated sensitiveness is an expression of the feeling of inferiority. Tim Hortons franchisor slammed with 2nd class action: now $500+$850-million for intimidation.